Considered the “Ultimate Driving Machine” for a reason, BMW leads the field when it comes to combining pure power and performance along with world-class luxury and comfort. Appealing to drivers of all preferences and styles, BMW has managed to ensure that there is another level of comfort, safety and security on the road available to just about everyone. As with other luxury cars, owning a BMW is a commitment to excellence that requires adhering to their model specific maintenance plan that most BMWs are known for. 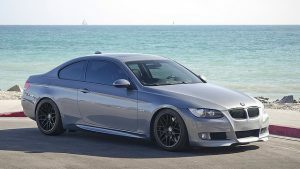 For BMW owners throughout Pineville, NC the experienced professionals at A&M Auto Service offer complete BMW maintenance at a fraction of the cost of the dealerships. We use the latest factory-grade tools and equipment available in order to offer dealership quality services for your BMW with each and every visit. Whether it’s time for a routine service appointment for your car or you need to fix nagging issues or minor repairs our staff of certified mechanics is here to help. Please call or visit our shop today to learn more and to schedule your car’s next service appointment.